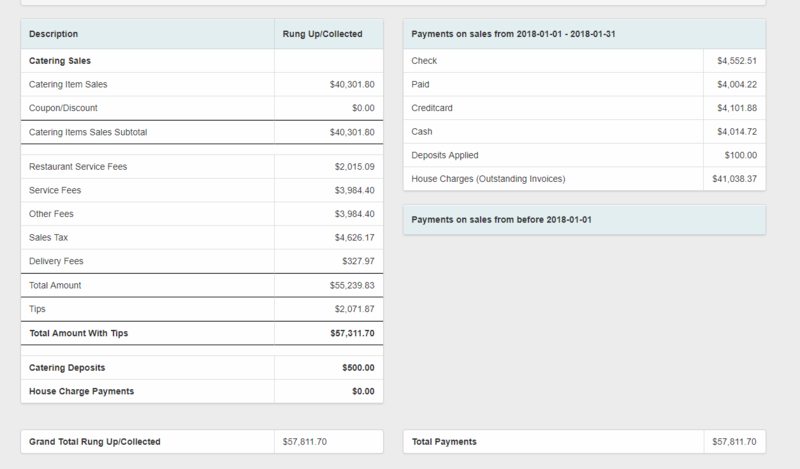 The Sales Journal Report is a great report to look when trying to figure out several things under your account. 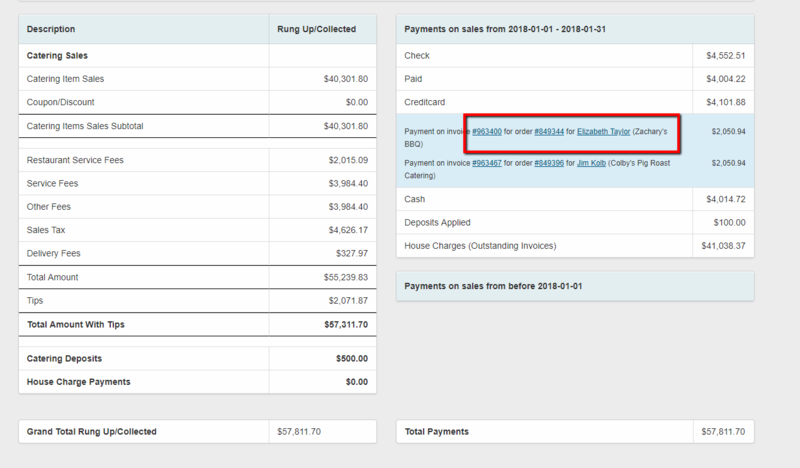 For example how many orders were paid by credit cards or how many outstanding invoices do we have in house accounts. You can also see how much was charged in restaurant service fees if you have any. This report holds a ton of information. 3 - Your report will than appear below. 4 - Note that you can expand sections in this report. To see all the orders that in this report you can click on the Catering Item Sales and the orders will appear under that section. 5 - The sections that can be expanded are: Catering Item Sales, Coupon/Discount, Restaurant Service Fees, Service Fees, Other Fees, Sales Tax, Delivery Fees, Check, Paid, Credit Card, Cash, Deposits Applied and House Charges. Each time you expand a section the orders that apply to that section will appear. You can click on the Order link, Invoice link or Customer link if you need to review any of the information. 6 - Note that this report can be Printed - Downloaded - exported to Excel - or Emailed. You have now learned how to access and view the information found in the Sales Journal Report.